Ms. Karen Camilleri is a manager within GANADO Advocates’ Corporate Governance team assisting with the broader company secretarial services provided to our licensed clients, including responsibility for the smooth and efficient running of Board and committee meetings, providing assistance and support to the Chairman, organising meetings with clients and taking minutes, timely follow-up on action items, organising the firm’s corporate administration processes as well as organising document templates. 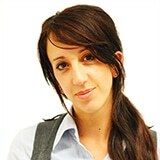 Karen Camilleri is an accountant by profession with prior experience at a leading accounting and audit firm in Malta. Ms. Karen Camilleri works as a Corporate Administrator within the Corporate Governance team. How smart are smart contracts?